Today I am just going to share some reflections of a restful day off regarding friendship, family, and being deliberate rather than reactive in the way I get information. I was able to take a comp day for my trip to Gettysburg yesterday. I am coming to enjoy taking a day once in a while to do little but hang out with Judy, each on of us with at least one dog on our lap while I take time to read and reflect. 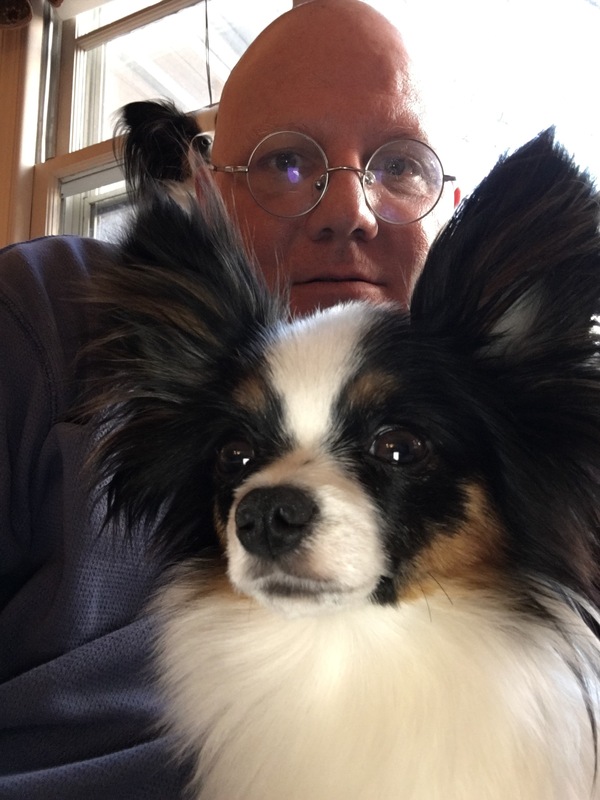 There is nothing more relaxing, comforting, and therapeutic than having a content and happy dog on my lap as I read or write, or just think and muse about various topics. Doing this helps me put priorities back in order and keep me from obsessing about the craziness of the world. I spent some time with an old friend Tuesday night. He and I attended the Army ROTC program and were commissioned together at UCLA in 1983. His path took him into academia well before mine, he is a history professor and published author who like me enjoys good craft beer. Though we hadn’t seen each other since my wedding, where he was a part of the wedding party, we have stayed in contact and we picked up where we left off talking about friends, our families, careers, and interests, not to mention our political and social views which are quite similar. Maybe part of that’s because we are both Californians who have lived most of our adult lives outside the state and long for the day when we retire and go back to the Golden State. I think days like yesterday and visits like the one with my friend are necessary to keep ones balance and sanity. I know for me that is the case, especially when it comes to disconnecting a bit from social media. I find that the vast amount of information of all kinds on social media can seam almost overwhelming at times, and attempting to sort truth from fiction can be more than a full time job. The fact is we are not designed to be continually bombarded by information, especially that which is presented as urgent but which is designed by those who put it out to manipulate us and our emotional response to it. It was nice yesterday morning to wake up and not immediately reach for my iPhone, iPad, or e-mail, but simply to enjoy the quiet, laying in bed with Judy and three adorably sweet Papillons. When I did get up I first read the comics, then I read through the online editions of major U.S. And European newspapers and periodicals. I leisurely took my time to read articles on a number of different topics from news, politics, sports, arts and literature, and even food. It was a deliberate yet relaxing effort because the news wasn’t cascading against my screen faster than I could digest it. I did share some of those articles on my social media feeds, but I was very deliberate and careful in what I shared. When I finally went to my Facebook page I was taking the time to see what was happening in the lives of my friends. That too was rewarding. So anyway, I wish you a good day, tomorrow I’ll be posting an article which is kind of a follow up to my review of Timothy Snyder’s new book On Tyranny that I posted yesterday.